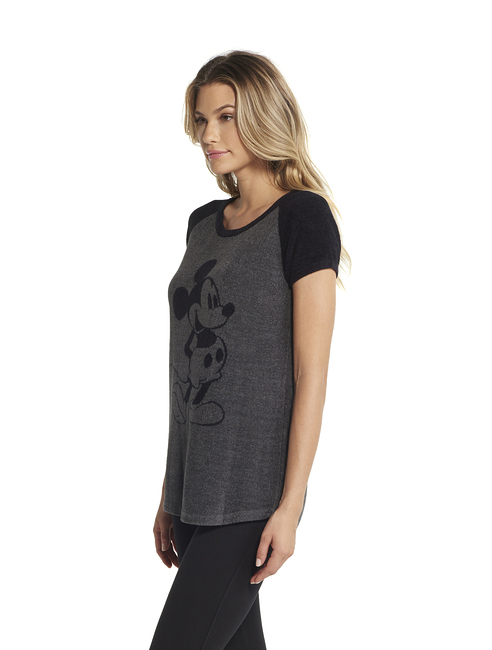 Believe in the magic with our CozyChic Ultra Lite Classic Disney Mickey Mouse Women’s Raglan Tee. 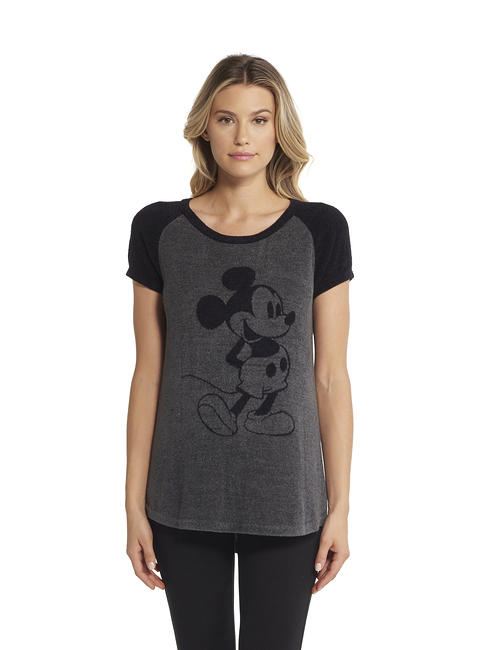 The sophistication of the rich dark colors combined with the playfulness of the custom knit Mickey Mouse silhouette make this super soft tee a stylish standout. Layer it under your favorite jacket or wear on its own. We love how versatile, fun and cozy it is. Machine washable and tumble dry. All Tees should aspire to be this good! 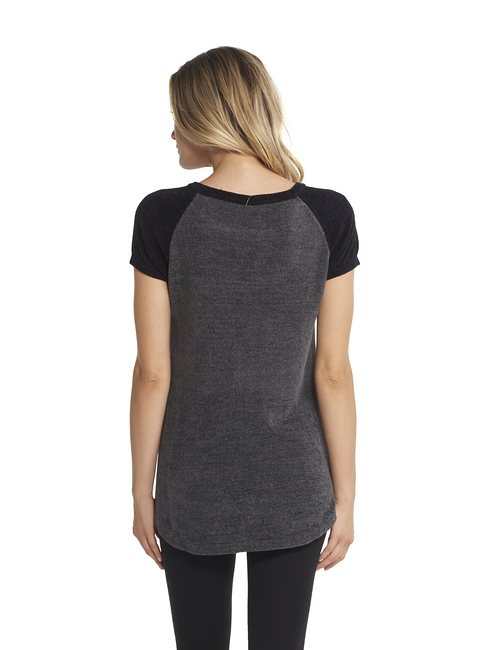 This tee is perfectly soft just the right length and so very comfortable! Love that it is not white. My only request is we need some with the Winnie the Pooh theme just like this! Pooh is my favorite and if it could look like the Pooh in the Christopher Robin movie all the better. Yes, I already bought a Winnie the Pooh blanket.